After finally seizing the spotlight with her World Cup hat trick, Carli Lloyd has a new trick in mind: becoming the best soccer player ever. The Turning Point, a Marlton, New Jersey, brunch spot, is an homage to its state. On one wall, a canvas print trumpets Garden State cities -- Marlton! Hoboken! Manalapan! -- in block letters. On another, black-and-white photographs showcase local landmarks in sharp relief. And squirreled away in a booth in the back, the reigning FIFA Women's World Player of the Year, a New Jersey product herself, picks at a pesto infusion skillet, pondering the match that she says "changed everything." Last summer Carli Lloyd scored three times in the first 16 minutes of the World Cup final against Japan, the fastest hat trick in World Cup history by a man or a woman. Now, seven months later, she recalls her third goal -- an improbable 54-yard kick from midfield -- with assuredness and bemusement. "When I got the ball at midfield, I took a touch. I looked up and saw the keeper off her line. I took another touch to prep. I just hit it. As perfect as could be. When it came off my foot, I knew it was perfect." Then she laughs. It was a play that could never go right, except on the one day when nothing could go wrong. Lloyd finally stepped to the forefront of women's soccer on that afternoon in July, but here, at the Turning Point, she practically recedes into the background. She is not Serena Williams, granite sculpture of biceps and triceps. She is not Ronda Rousey, bulk and power. At 5-foot-8, her hair piled into a messy bun, and sporting an unremarkable all-black warm-up suit, she could just as easily be your fitness-conscious roommate as a World Cup Golden Ball winner. Lloyd grew up about 10 miles north in Delran, is engaged to her high school boyfriend, Brian Hollins, and still calls South Jersey home. But when the waitress swings by the table to offer refills, she does not seem to realize she is sharing the room with the best women's soccer player in the world. "The thing is," Lloyd goes on, "those 16 minutes were 13 years of hard, hard work." So call the prayer from midfield a happy accident if you like. Just don't call Lloyd one. She is, she'll tell you, more than the sum total of those 960 seconds. And she is over being overlooked for all that came before. "I have scored some big-time goals," Lloyd says, almost defiantly. "I've done well in Algarve Cups. I've done well in World Cup and Olympic qualifiers, Olympics. In big games when we're playing top-five teams. But yet you never see my face or my name out there. And it has frustrated me my entire career." It seems implausible that Lloyd, now 33, could ever fly under the radar. Since making her national team debut nearly 11 years ago, she has become the team's most prolific scoring midfielder ever, a remarkable 69 international goals coming from center mid. She has started 24 of 25 matches in the past two World Cups and two Olympics combined, and her 222 caps ranks eighth in U.S. women's national team history. And yet, after the 5-2 World Cup win over Japan, U.S. Soccer Federation president Sunil Gulati declared that generations of fans had a "new hero" in Lloyd, giving voice to the idea that her hat trick, the first in a women's final, represented a breakthrough for the veteran. Indeed, just after that long ball arced its way from midfield toward Japanese keeper Ayumi Kaihori, beneath the collective jubilation was a prevailing puzzlement. Finally. And then: What took her so long? THE CHASM BETWEEN Lloyd's appraisal of her career pre-2015 World Cup and the referendum offered by outside observers makes the Grand Canyon look fun-size in scale. She was either the national team's most effective contributor the three years prior, or a turnover-prone, shoot-first-pass-much-much-later liability. She was its most consistent grinder, or its most inconsistent playmaker. She was clutch personified, or choker incarnate. So when Gulati dubbed Lloyd a "new hero" last summer, it made both perfect sense, and none whatsoever. Gulati now says that starring in a game of that magnitude would make anyone a new hero, regardless of prior work. "A performance like that changes things," he says. Still, last summer was not the first time Lloyd dabbled in big-game heroics: In 2008 and 2012, she scored the Olympic gold game winners. "If there was any doubt from 2008 and on, there is no doubt that from 2012 until today she has been the most impactful player on the team," says James Galanis, Lloyd's longtime personal coach. Yet right up until the round of 16 in last year's World Cup, when the U.S. emerged with a 2-0 victory over Colombia, there was a small but insistent call for Lloyd's outright removal from the starting 11. "There were some analysts, co-analysts of mine in the studio, saying that she should be benched in the World Cup," says former USWNT coach Tony DiCicco, now a broadcaster for Fox Sports. In fairness, in all the ways Lloyd was transcendent in the knockout round -- she scored six of the team's 10 goals in those four matches -- she was pedestrian in the group stage. She would come on, and explode, only when midfielder Lauren Holiday's yellow-card suspension gave way to Morgan Brian's insertion into the lineup, moving Lloyd back up to her natural attacking position. Lloyd's tournament was a microcosm of the ways she has both dazzled and confounded for years. "Carli ... she's an interesting player," DiCicco says. "[A few years ago] there would be moments of greatness surrounded by mediocrity." She'd make errant pass after errant pass. She'd force shots instead of slipping the ball through. "Then she'd have a moment of greatness again," he continues, "and you'd say, 'Mmm, there's some genius in this player.'" So is the question what took her so long? Or what took everyone else so long? For Lloyd, the answer is simple: She is not a late bloomer. She is a casualty of late-blooming recognition. "Way late," in her words. "I'm not going to go and pose for a swimsuit edition because that'll just ruin my reputation right off the bat," Lloyd says, picking up steam. "So I guess what I'm getting at is, you know, it's just really been about how many jerseys they can sell. I've kept to myself, I've put my head down, I've gone to work. And I have felt undervalued." She doesn't utter Alex Morgan by name, but the reference feels like an unspoken presence. Despite logging 13,943 minutes in international play before 2015, it took the World Cup for Lloyd to land a rash of big sponsorships -- Comcast, United Airlines, EA Sports, Whole Foods. The 26-year-old Morgan, by contrast, skyrocketed to fame, scoring more goals (41) in her first three years than any other U.S. player, landing knee-deep in endorsements almost immediately and posing for Sports Illustrated's swimsuit issue twice. "It's funny to me," U.S. goalkeeper Hope Solo says. "People don't always turn their heads, because she's not in swimsuits and she's not posting on social media. But, you know, people should have known about Carli for a lot longer than 2015 and beyond." In some ways, her fame was a product of her circumstances. She shared the field with scene-stealers in now-retired Abby Wambach, then Morgan, and for a long spell, both. Even her prowess in back-to-back Olympics had a short shelf life. "She scored two winning goals in the Olympics; those were terrific goals, two gold medals, but it didn't resonate in the same way as this World Cup did," Gulati says. "The Olympics are different because it's a multisport event, so you're not the only one onstage, so to speak." But what one person sees as circumstances, another can see as oversight. Lloyd would look up at the JumboTron to see a promotion for an upcoming game but would never see a photo of herself as the selling point. And one source close to the U.S. team recalls going to the federation's online store before the 2015 Women's World Cup to look for a Carli Lloyd jersey, only to find noncustom options limited to Wambach, Morgan and Sydney Leroux. "Even within our own federation, she hasn't been pushed to the forefront," the source says. "That says a lot in terms of what we valued." Says Galanis: "She's been a hero over and over again. But U.S. Soccer has failed to recognize that. Over and over again." BEFORE SHE WAS overlooked, Lloyd was discarded. In March 2003, still a junior at Rutgers University, she sat across the table from her U21 WNT coach, Chris Petrucelli, in a hotel conference room in Carson, California. He told her that, yes, she could strike the ball better than anyone, but she showed little interest in defending. Her fitness level was subpar. And there were times in games when she seemed to disappear. Lloyd retreated home to Delran certain that besides her upcoming senior year at Rutgers, soccer was in her rearview mirror. Then her father found James Galanis. A native of Preston, Australia, Galanis sports a chin-length mop of hair and thick-framed glasses that make him look more laid-back Aussie surfer than hard-nosed trainer. But he has created a name for himself in the New Jersey soccer scene, starting a private coaching practice in nearby Lumberton, and had trained Lloyd's younger brother's soccer team. "My daughter needs you. She's on the brink of quitting," her father told Galanis. "Can you help her?" 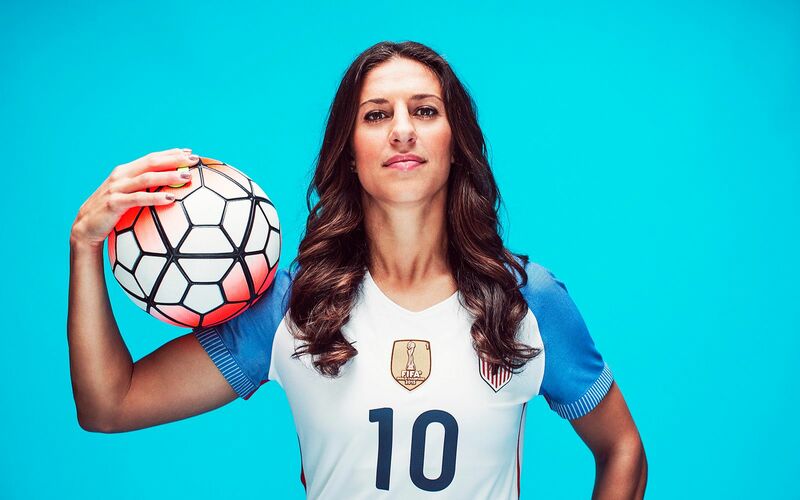 Before taking her on, he evaluated her "mentally and physically" and came to two conclusions: First, Carli Lloyd could be the best soccer player in the world. And second, at 21 years old, she needed to start over. Lloyd's movements on the field were thoughtless. She'd plant her foot at an angle when passing; that foot needed to stay straight. She'd strike the ball and her leg would cross over her body; it needed to follow through in a line. A million minuscule gaffes, when taken together, amounted to a crisis. So Galanis broke down and refined and re-refined her mechanics. "It's a dance," he says, and Lloyd did not yet know the steps. As they wiped her slate clean, Galanis devised an outline for Lloyd's career. Three phases, four years apiece. Phase one: Get her foot in the door. Prove that she belonged not just on the U21 WNT -- she earned back her spot before the Nordic Cup that July -- but also on the senior team. On a field in Beijing in 2008, she did just that, scoring the U.S.'s lone goal in its Olympic gold medal match against Brazil. Phase two: Make herself indispensable to the team. Become a starter. An impact player. She completed that too, accounting for both goals in a 2-1 Olympic gold medal victory over Japan in London in 2012. Phase three: Take over and finish. Become the best player in the world. The culmination of this final phase, and her career, they circled in red for August: Rio 2016. There were, of course, setbacks. High-profile collapses -- a penalty kick that sailed over the crossbar in the 2011 Women's World Cup final. Unforeseen complications -- a demotion to the bench to start the 2012 Olympics after that blown PK and erratic play throughout the World Cup tournament. Up-and-down relationships with coaches -- Pia Sundhage, reminiscing last summer on her time as the national team coach from 2008 to 2012, called Lloyd a "challenge to coach." Her appetite for taking risks was both "the best thing and hardest thing," Sundhage says now. Still, for a player accustomed to feeling ignored, her greatest accomplishment might be the most overlooked of all: "She achieved the goal of phase three one year ahead of time," Galanis says. Enter a new, and final, quest. Phase four: Become the best player of all time. Target date, 2020. In that time, she has three major tournaments in which to make her case: Rio this summer, the 2019 World Cup and the Tokyo Olympics a year later. If she impacts each, if she is the margin of victory for the U.S. like she was in 2008, 2012 and again last year, Galanis says that is enough for her to lay claim to best ever. "I want to be known as the best center midfielder that has ever played this game," Lloyd says. This fourth phase, of course, was made possible only because she sped up Galanis' original time frame. So what took so long? The question is inherently flawed in Lloyd's eyes. She wasn't late, or even right on time. She was a damn year early. ON A LONG stretch of Hainesport Mount Laurel Road in early April, Lloyd is lost in her music. She's midway through her 50-minute run when she starts to visualize the Rio Olympics. First she sees the national team falling behind by two goals in the final. Then she envisions scoring four to spark a comeback. "And that was it," she says with a shrug. "We walked away with another gold medal." Lloyd does this often, playing out in her mind how she expects her performances to transpire. "It's unbelievable how much the mind is so, so important," she says. It's part self-therapy, part Lloyd against the world, a trope she returns to often. Lloyd does more than just feed off slights, real or imagined. She seeks them out. (Witness: Her memoir, coming out in the fall, is titled When Nobody Was Watching: My Hard-Fought Journey to Soccer's Summit.) She trains like a "rec player" because she wants to feel more than uncomfortable, she wants to feel broken. Ten days after spraining her MCL in April, she Instagrams a photo of herself, head down, knee wrapped in ice, with a caption superimposed: "Difficult roads often lead to beautiful destinations." She can at once be relentlessly certain of her status in the game and consumed by how that status has been marketed to the masses. It's a preoccupation that seems to gnaw less at several others in her position. Mia Hamm was U.S. Soccer's unquestioned ambassador for years but insists assuming that role was not on her radar. "It's not like we all got into a room and said, 'Hey, Mia, this is what we want to do and we want you to be the face of it,'" says Hamm, who played for the U.S. from 1987 to 2004. "I just focused on playing." Even former U.S. striker Michelle Akers, whom Galanis sees as Lloyd's kindred underappreciated spirit, either did not realize she was snubbed in her 15-year tenure or chose not to focus on it. "I've had people say that to me, and they were mad about it. About, you know, other players getting a lot more recognition and that I had more success on the field," Akers says. "But who cares?" Lloyd cares. And so perhaps the question of whether she has gone underappreciated is less vital than the fact that she needs to believe that to be so. The notion of disrespect both weighs on Lloyd and propels her forward. "You know, I feel like if that spotlight had gone to Carli years ago, I don't think we would have seen the performance that we did last summer," says U.S. coach Jill Ellis. "I really feel that way." Untangle the knot of motivation that drives her and the unraveling will inevitably lead back here. On March 30, five of the national team's biggest stars, Lloyd among them, filed a wage-discrimination claim with the Equal Employment Opportunity Commission against U.S. Soccer. Lloyd, Solo, Morgan, Megan Rapinoe and Becky Sauerbrunn lent their names to the complaint, demanding equal pay for equal play. Two days later, the women explained to espnW what they hoped to achieve by taking action. "Equality," Solo said. "Equal pay," echoed Sauerbrunn. "The dream is, of course, equality," Morgan reiterated. "Respect," Lloyd said. A SWARM OF fans -- 75, then 100, then 125 -- packs the tunnel beneath Section 101 in Talen Energy Stadium in Chester, Pennsylvania. A father wearing a blue Carli Lloyd jersey, No. 10, hoists his daughter a little higher, hoping to give her a better view. Another, in a red Adidas jacket, yells at his own daughter, stationed some 20 feet away, "Yo, Liss! Get loud!" He wants her to get an autograph. Children are screaming, but so are grown men and women, and at the epicenter of all this mayhem is Lloyd, walking toward the sea of manic red, white and blue. The U.S. has just dispatched Colombia, and it's a homecoming of sorts for Lloyd, with Delran just 30 miles away. Some 100 of her friends and family came out on this mid-April afternoon, and when she tries to visit her cheering section, the fans take notice, and it quickly escalates into an all-out event. "Liss! She's coming over! Get louder! She won't hear you!" father No. 2 yells. It's a lovefest, there's no other name for it, and Lloyd takes in the moment, signing jerseys, magazine covers, even cleats. Liss thrusts her soccer ball and a pen in Lloyd's direction. "There she is!" 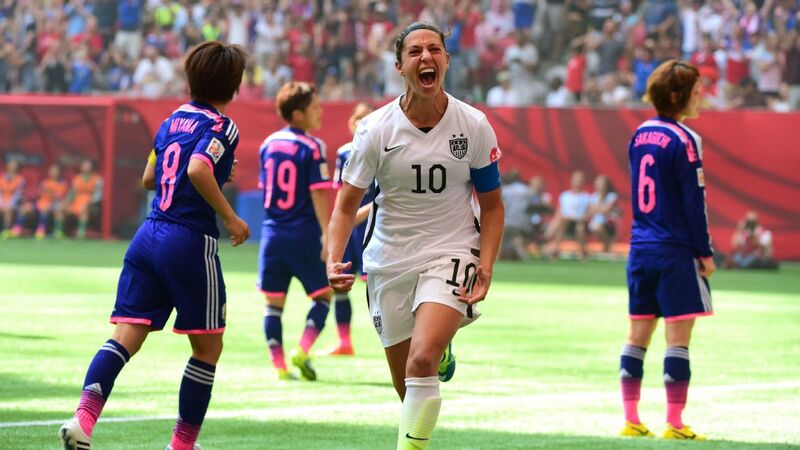 Carli Lloyd is on her way. 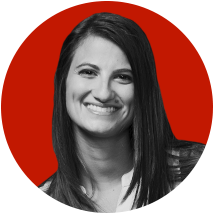 Hallie GrossmanGrossman is a staff writer for ESPN The Magazine.